The Salimetrics IL-1 Beta ELISA kit is a sandwich immunoassay specifically designed and validated for the quantitative measurement of salivary IL-1β. It is not intended for diagnostic use. 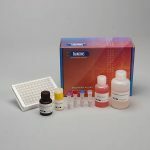 This assay kit was designed and optimized for salivary research use in humans. Salimetrics has not validated this kit for serum, plasma or saliva samples from any other species. 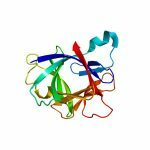 Interleukin-1β (IL1B) is a key pro-inflammatory cytokine that is released after infection, injury, or antigenic challenge. It has been widely studied for its role as a multi-functional signaling molecule that affects nearly all cell types, either alone or in combination with other pro-inflammatory cytokines. Circulating IL1B is principally produced by activated macrophages, but it is also secreted from a wide variety of epidermal, epithelial, lymphoid, and vascular tissues. IL1B is also present in the saliva of both healthy and diseased individuals. In the oral cavity, the sources of IL1B production include macrophages, monocytes, fibroblasts, and mucosal epithelial cells. IL1B has also been reported to be synthesized and released from acinar and ductal cells in mouse salivary glands. Human tear fluid and gingival crevicular fluid (GCF), which may be present as components of whole saliva, also contain IL1B. Salivary IL1B has been reported to have a circadian rhythm with highest levels in the morning (after waking) and lowest levels in the evening. This is the opposite of the pattern seen in serum, where peak levels occur from 1-4 AM and daytime levels are low. Levels of IL1B in saliva and GCF have been studied in relation to gingival and periodontal disease, and significant correlation to the presence of periodontal disease has been found. Levels of IL1B in saliva and GCF have been observed to change in response to various types of physical and psychological stressors, similar to the response seen in circulation. The relationship between salivary and circulating levels of IL1B is not clear. Serum or plasma levels of IL1B in healthy individuals are very low and often below the limit of detection. IL1B levels are generally higher in saliva than in plasma or serum. One study has reported that the correlation between human passive drool saliva samples and plasma for IL1B is not statistically significant. This is a sandwich ELISA kit. IL-1 Beta in standards and samples binds to the antibody binding sites on a microtitre plate. After incubation, unbound components are washed away. Biotin conjugated to goat antibodies to human IL-1 Beta are added and attach to the bound IL-1 Beta. After incubation, unbound components are washed away. Streptavidin conjugated to horseradish peroxidase (HRP) is added and binds to the biotin conjugated to the goat antibodies. Bound Streptavidin-HRP is measured by the reaction of the horseradish peroxidase enzyme to the substrate tetramethylbenzidine (TMB). This reaction produces a blue color. A yellow color is formed after stopping the reaction with an acidic solution. The optical density is read on a standard plate reader at 450 nm. The amount of Streptavidin-HRP detected is proportional to the amount of IL-1 Beta present in the sample.